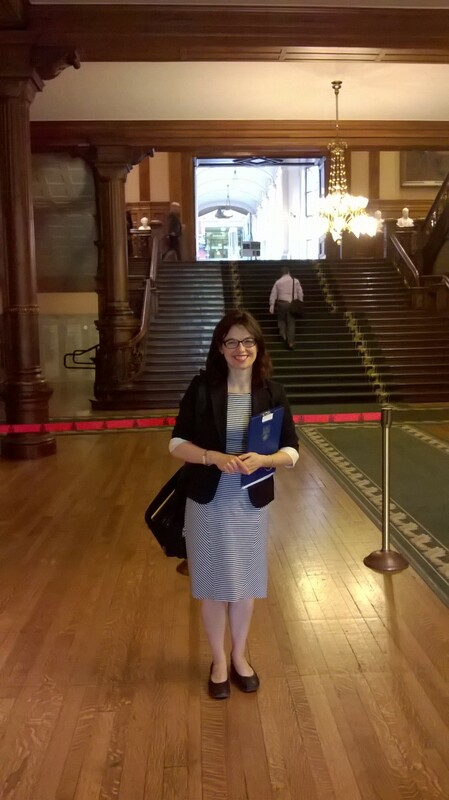 Bowdish Lab attended Queen’s Park Lobby Day with the Ontario Lung Association! 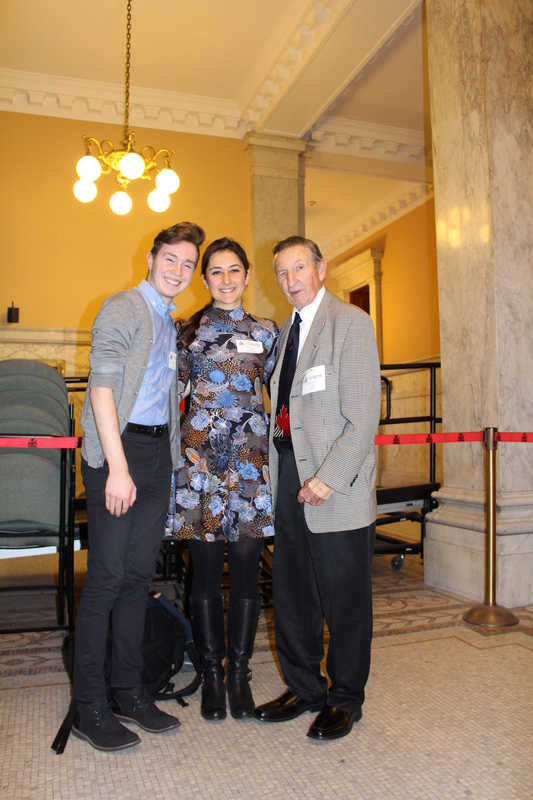 On Monday November 30th, the last day of Lung Month, members of the Bowdish Lab joined the Ontario Lung Association to lobby for the Lung Health Act at Queen´s Park. 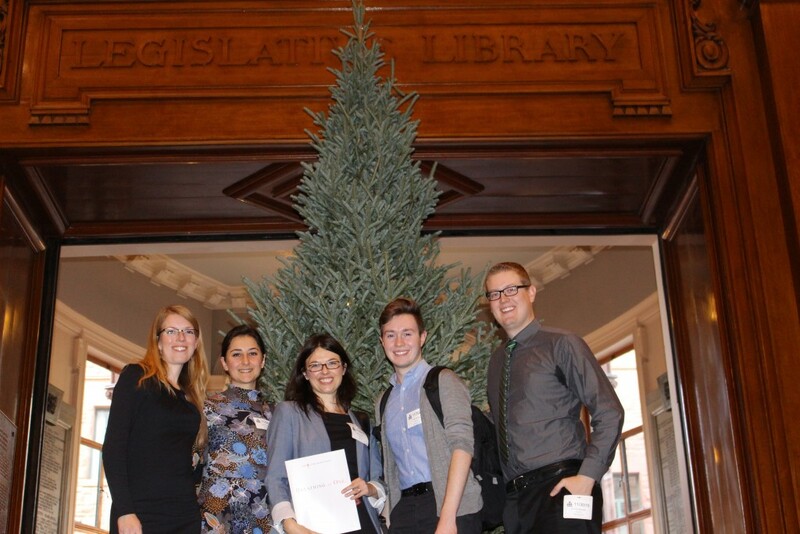 PI Dawn Bowdish and four lab members, Andrea Kellner (visiting PhD candidate), Dessi Loukov (PhD candidate), Kyle Novakowski (PhD candidate) and Justin Boyle (undergraduate), advocated for increased funding for lung research through support of Bill 41: The Lung Health Act. 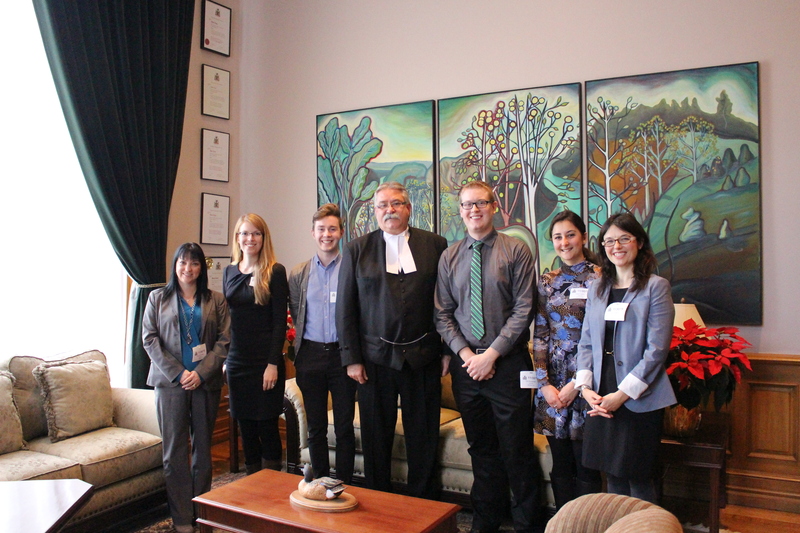 It was a great honour to meet the Speaker of the Legislative Assembly of Ontario, David Levac and talk to him about the importance of lung health. 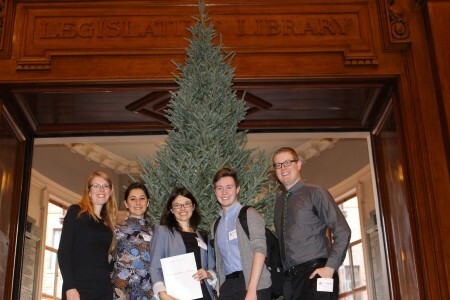 This aim was well received and he encouraged the junior researchers to never stop pursuing their scientific goals. Afterwards the team had the opportunity to explore the stunning architecture and history of Queen´s Park, which first opened in 1860. 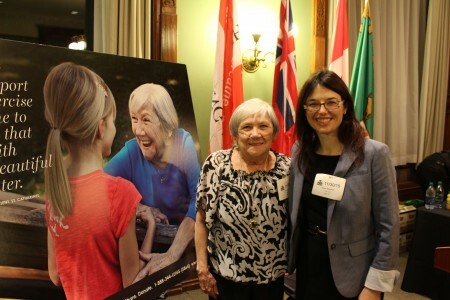 Later the reception afforded the Bowdish lab the privilege to meet MPPs and organizing members of the Lung Association. One exceptional guest and supporter of the Lung Association is Walter Gretzky, who welcomed people warmly and never tired of giving autographs. 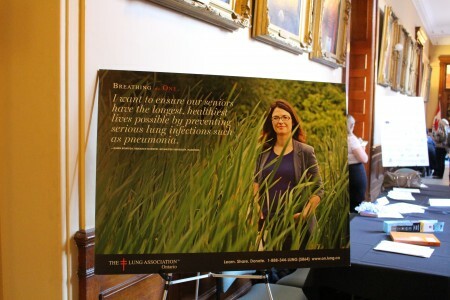 Especially inspiring was the prospect of meeting people affected by lung diseases as well as people engaged to directly help them as respiratory educators. This emphasized the importance of research performed in the Bowdish Lab and for whom it is done for. In summary, the day highlighted how research and politics can work together to improve the lives of Ontarians and how democracy works in the context of health. 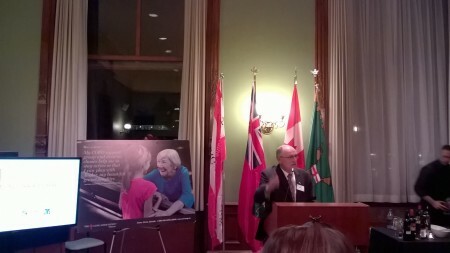 George Habib from the Ontario Lung Association discusses the importance of the Lung Health Act.